Get Travel Insurance For India | Zoom To It! emergency assistance, trip cancellation, luggage and more. What are you waiting for? Zoom to a cheap quote today! No matter where in India you are we're there when you need us most. Our expert emergency assistance is available 24 hours a day, 7 days a week. Flights do get delayed on occasion, so dont let bad weather dampen your holiday. Get cover for your disruptions with comprehensive cover. Where there are tourists, there are people ready to exploit them. Relax on your trip knowing your're covered for theft, loss or damage. At Zoom, you're covered to ride a motorbike or scooter of any engine size provided you are licensed to do so in Australia. Whether you're hiking the Himalayas or white water rafting in Goa. Get cover for your fast paced activities with our adventure pack. A trip to the Land of Mystery is perfect for familes. All dependants under 21 are included under your Zoom policy at no additional cost. Say what!? Zoom to Zen. You can sit back, relax and enjoy your holiday knowing that Zoom travel insurance is backed by Lloyd’s of London, one of the world’s most trusted insurance brands. From ancient temples, endless coastline, tasty curries, India has something for every type of traveller. But, be warned, India's crowds can be chaotic and you'll need your wits about you. Also, health care standards can also vary widely throughout the country. Take charge with travel insurance when making your way through this astonishing country. What age limits apply to Zoom's travel Insurance policies? Will I be covered for food poisoning? Before you decide to try some delicious looking road-side delicacies take pause. Although you'd be covered for any medical expenses you incur as a result of contaminated food or water, it's probably not a good idea to go near foods that don't look fresh. Be warned that traveller's tummy is common in India. Wash your hands regularly, opt for fully cooked, fresh food and peel fruit before eating. Am I covered for Malaria? There are a few diseases you may be at risk of contracting in India, and Malaria is one of them. However, you can rest assured that all our policies cover you for Unlimited medical benefits if you were to fall ill. This includes access to hospitals, ambulance, doctors and evacuation and even repatriation home if required. Do I need vaccinations to travel to India? Your doctor may recommend vaccinations before you travel to India, depending on your health status and your travel plans. You may need to update any routine vaccinations and consider shots for Diphtheria; Hepatitis A; Tetanus; Typhoid; Cholera; Hepatitis B; Japanese Encephalitis; Rabies & Yellow fever. Am I covered to ride a motorbike or scooter? 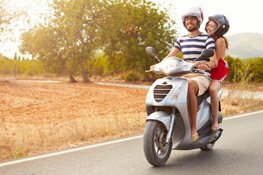 At Zoom, you're covered to ride a motorbike or scooter of any engine size provided you are licensed to do so in Australia. If you do not have a valid motorbike license then you can only ride a bike of 50cc using your Aussie drivers license. You must also be wearing a helmet at all times. Am I covered for pick pocketing? Yes, you’re covered for muggings provided of course, you were acting with reasonable care (i.e. did not leave your belongings unattended). If you’re the victim of a pickpocket, you’d be covered for loss, theft and damage to your luggage and personal effects. If you are robbed it’s important that you get a police report and contact us as soon as possible. 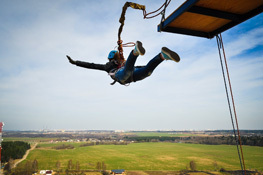 We automatically cover a wide range of adventure sports including diving, bungee jumping and horse riding and more. You can also buy our Adventure Pack to cover additional adventure sports. When it comes to alcohol we advise you to drink in moderation. Please note that we may exclude any claims where excessive drugs or alcohol have been involved. There really is no place else in the world like India. A land of extremes in every way, India will assault your senses, challenge your thinking, and forever change the way you see the world. Colourful and confronting, breathtaking and beguiling. India is one place that will stay with you forever. So what are you waiting for? Zoom to it! No matter which kind of Indian experience you're planning, Zoom can cover your trip with a range of plans. 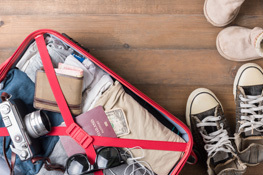 You can minimise your costs with Medical Only cover, or choose to buy Comprehensive Travel Insurance for extra protection to cover things like travel delays and cancellation. Compare Zoom's Travel Insurance plans online today. Australians visiting India for a holiday will require a tourist visa. Indian Tourist Visa holders are permitted a maximum stay of 90 days at a stretch. There are a number of international airports in India, but majority of Aussies will land in New Delhi, Mumbai or Chennai. English is spoken by almost all airport officials at major Indian airports, so if you have a question look for a help desk and they should be able to assist. When coming out of India’s international airports after clearing immigration, you will see two exits – the red exit and the green exit. The red exist is to be used if you have anything you need to declare; the green one is if you have no items to declare. On arrival do not go out of the airport and hire a taxi to take you to the city. Instead go to one of the prepaid taxi booths, located inside the terminal or immediately outside the airport. These booths are clearly marked in English. Alternatively, some hotels may offer an airport pickup service. Check this when you are booking your accommodation. There are plenty of ways to get around in India depending on where you are going, how far you are going, and what sort of experience you want to have. Trains run throughout most of India and offer an easy and efficient mode of transport for travellers. Prices vary depending on what class you travel in, but they’re all pretty affordable. In larger cities, taxis and motor rickshaws are cheap as chips (well, pappadums) and the quickest way to get around, but you’ll need to bargain with the driver before you set off, or else you might get ripped off. If you can, speak to your hotel staff beforehand and ask them what an appropriate bargaining rate should be. Some taxis and rickshaws may have a meter, but you may find more often than not it’s conveniently “broken”. Buses are fine for shorter trips when trains aren’t available. But keep an eye on your things, and try to get a seat close to the front. They’ll generally keep letting people on until the bus is packed to the rafters (and people may be hanging on the outside and roof too!). For a more comfortable journey, you could hire a private car and driver. There are several reputable companies in India that offer these services for a reasonable rate. While the weather does varies greatly depending on where you are in the country, November to March is generally the most pleasant time to visit India as it’s drier and cooler in the evenings. If travelling south, the ideal time to visit is December to February. Try to avoid it during May and June, as the heat can be quite extreme. If you are visiting during this time, head to the Himalayas to enjoy cooler temperatures. July through to September is ideal for trekking in the hills, but most other places are being soaked due to the monsoon season. You can’t really predict exactly when the monsoons will start or end, but it generally hits the coast late May and sweeps across India easing up around October. If you don’t mind the wet and the humidity, you can get some bargain prices if you travel during this time. Wherever you go in India, your trip will be memorable. Here’s just a few of the highlights on the map. Mumbai – prepare for sensory overload. A city of extremes, Mumbai is a crowded, chaotic and at times overwhelming city. It’s here you’ll find the richest of the rich and the poorest of the poor, along with bustling bazaars, lively nightlife, fashion houses, colonial architecture, amazing restaurants, Bollywood, and so much more. Goa – this small coastal state’s long stretch of stunning beaches offer locals and travellers respite from the hot Indian days. Goa was a Portuguese colony prior to 1961, and this influence is still prevalent. The culture, food, and architecture all offer a unique blend of Indian and Portuguese influences. Agra – this is where you’ll find the Taj Mahal, along with many other ancient tombs and mausoleums, palaces, tombs. Varanasi – India’s spiritual capital, Varanasi is a place of holy pilgrimage for millions of Hindus. It is in the waters of the Ganges, India’s most sacred river, Hindus cleanse their soul and perform religious ceremonies and funeral rites. There are also thousands of temples and religious sites. Jaipur – a bustling city where the old world collides with the new, Jaipur is famously known as the Pink City. The moment you arrive you’ll understand why. Delhi – India’s hugely populated capital territory. Delhi is divided into 11 districts, and it’s here you’ll be able to visit New Delhi, India’s capital city, as well as the walled city of Old Delhi, home to the famous Red Fort. India can be frustrating and overwhelming for travellers. Be flexible and patient, and go with the flow as much as you can. It’s all part of the adventure that is India! Make sure you only drink bottled water, avoid ice in drinks, and always check to see the seal on your bottled water is intact. Be careful where you eat, look for busier places where the food is fresher, and use your common sense. While the delicious smells wafting from kitchens can be tempting, travellers need to dine with caution in India to avoid upset stomachs. There are several recommended vaccines for travellers heading to India. Speak to your doctor in the months leading up to your trip. Malaria is also a risk throughout India, particularly following monsoon season. Be sure to take preventative steps, such as wearing repellent or light long sleeve clothing. Carry hand sanitiser or soap with you. Toilet paper is rarely provided in public bathrooms, so carry that with you too. There is a great deal of poverty in India, and it can be quite confronting to see. Do expect to see a lot of beggars. If you do give money to beggars in the street, know that you’ll likely be pursued by others. Are you planning to zoom somewhere else on your holidays? Whether you're holidaying to terrific Thailand or want to live it up in london, or go on a Japanese jaunt, we've got plenty of helpful advice on other popular travel destinations to check out. What are you waiting for? Zoom to it! Stunning natural landscapes and breathtaking architectural wonders, Cambodia is simply unmissable. Read our handy guide to one of the Asia's most popular emerging travel destinations. From monsoonal jungles to snow-covered peaks, Nepal is a country of breathtaking natural landscapes and diverse and distinctive cultures. Click to learn about visas, getting around and must-see spots. With a great wall, spectacular natural wonders, a rich culture and tasty foods, China should be on everyone's bucket list. So, go on. Zoom to it!